The all-new Kia Rio is a compelling proposition in every respect. From the sleek, sculpted lines of its attractive new design, its class-leading cabin spaciousness, the comfort and convenience of its new connectivity and assistive features, and the versatility of its cargo space – to the reassurance of its first class safety technologies and the enjoyment of its dynamic handling. Even at rest, the all-new Kia Rio new exterior expresses motion from every angle. 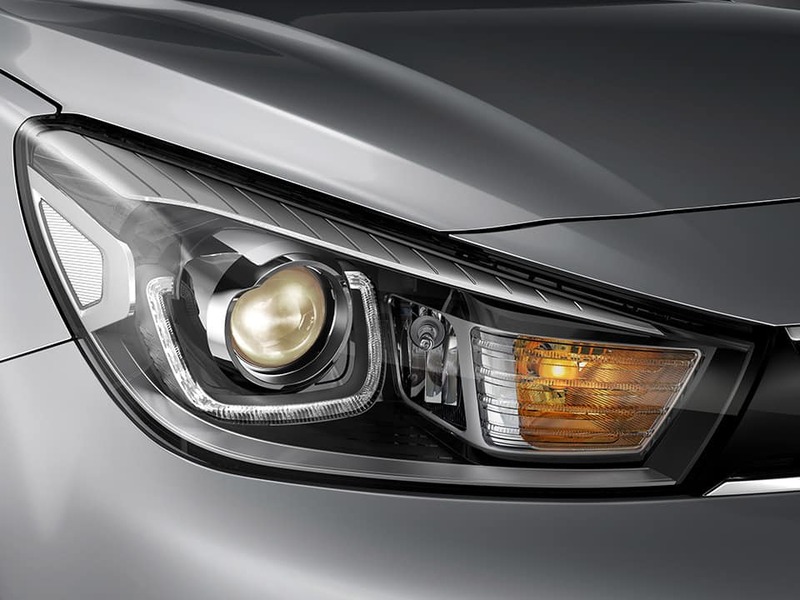 The bi-function headlamps and latest evolution of Kia’s front grille present a bold new look. 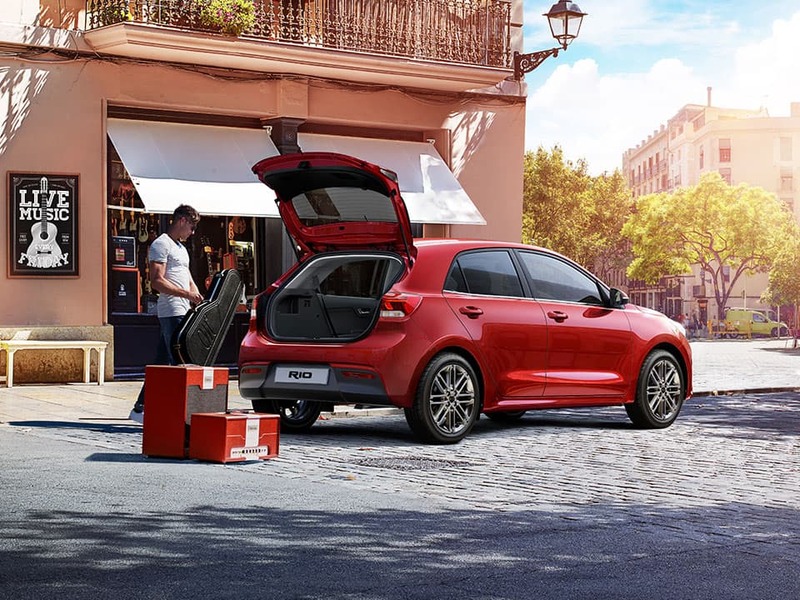 Perfect for the city, roomy enough for daily life, the all-new Kia Rio is redefining the definition of spaciousness in its class. 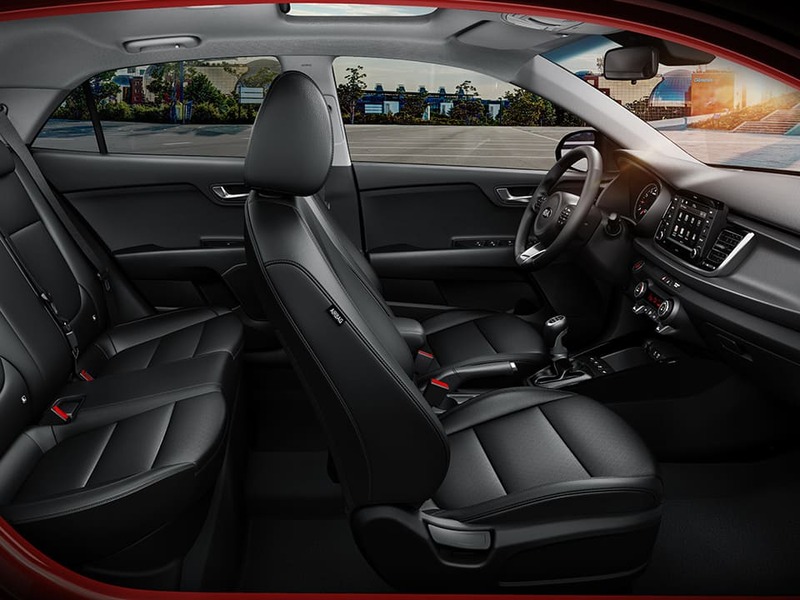 In particular, friends and family in the rear appreciate extra space to stretch out and relax. Foldable rear seats also add a new level of practicality. Its generosity extends to the boot whose 325 litre capacity is nothing short of impressive. 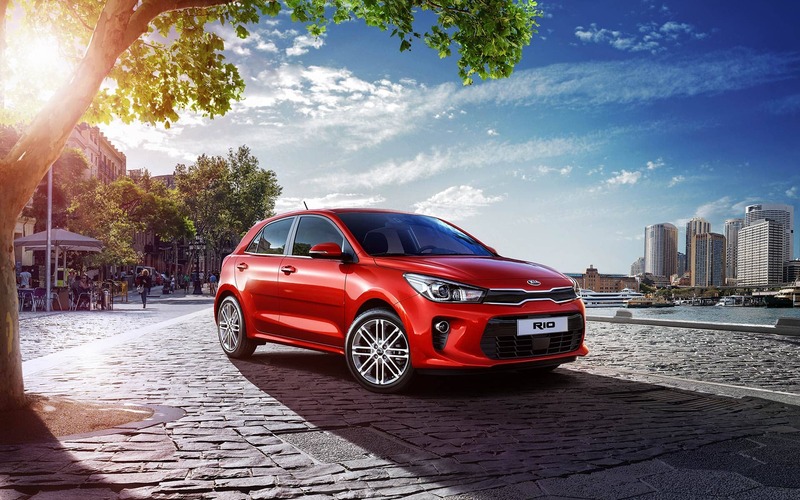 The all-new Kia Rio offers one of the most spacious cabin in its class, together with a host of advanced technologies designed for maximum comfort and convenience - including keyless entry and ignition, heated seats and steering wheel, rain-sensing windscreen wipers, and automatic headlamps. 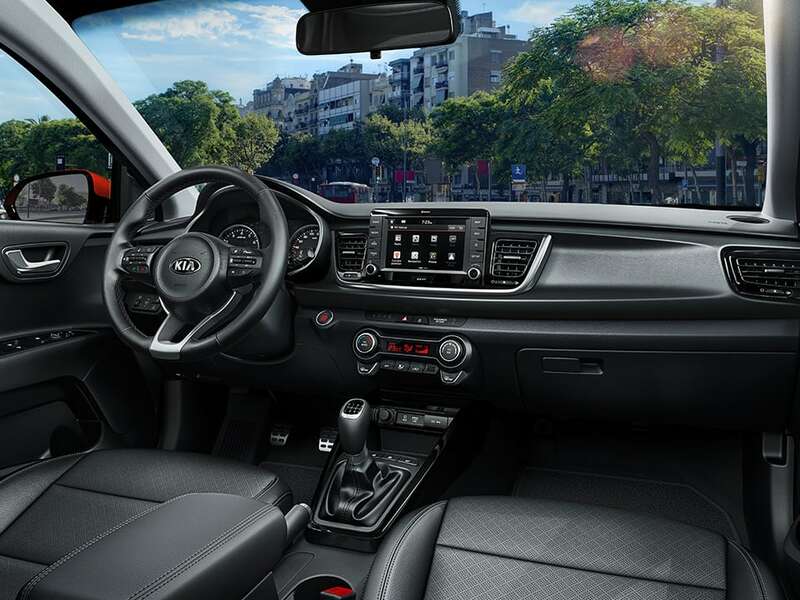 Another top highlight is Kia's latest "floating" HMI (human-machine interface) at the centre of the dashboard – with an advanced high-resolution 7" navigation touchscreen featuring Kia Connected Services powered by TomTom®, as well as Android Auto™ and Apple CarPlay™ for full smartphone integration. So you'll feel more tuned in than ever. 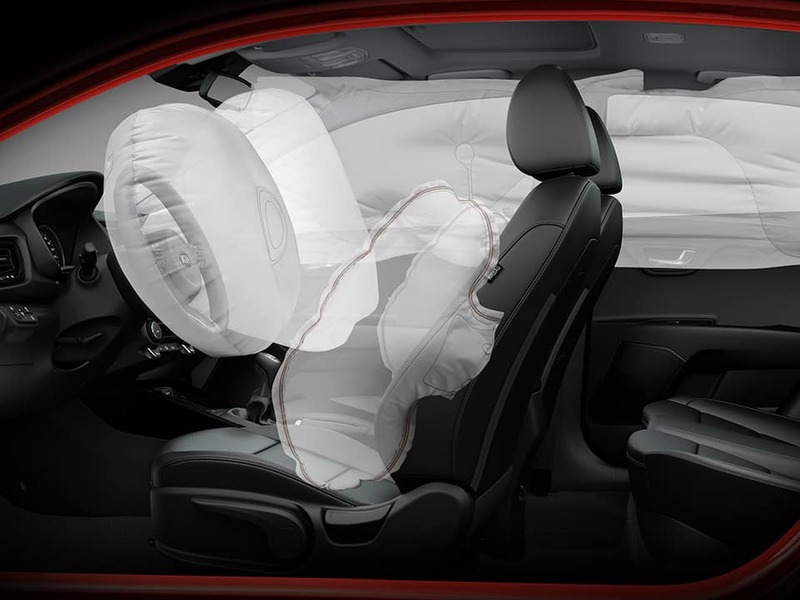 When developing the all-new Kia Rio, our designers and engineers gave top priority to delivering incredible safety standards. As well as being the first car in its class to feature Autonomous Emergency Braking (AEB) with pedestrian recognition, it is also fitted with a Lane Departure Warning System. And with 325 litres of cargo space and split-folding rear seats as standard, it is ready to accommodate even your biggest plans. The chassis has also been modified to ensure more agile and immediate handling, and improved ride comfort - for a more engaged and enjoyable driving experience. Fitted with the full gamut of safety features, the all-new Kia Rio comes with six airbags, Tyre Pressure Monitoring System (TPMS), and rear parking sensors. For challenging road situations, there’s Electronic Stability Control (ESC), Vehicle Stability Management (VSM) and Hill Start Assist Control (HAC) to help you steer clear of any potential dangers.